Fresh from the farm, 100% organic, grown for flavour – and delivered free. Put fresh, seasonal flavour back into your cooking. Small, medium or large. Weekly, fortnightly, or as and when. With or without fruit, meat and dairy. 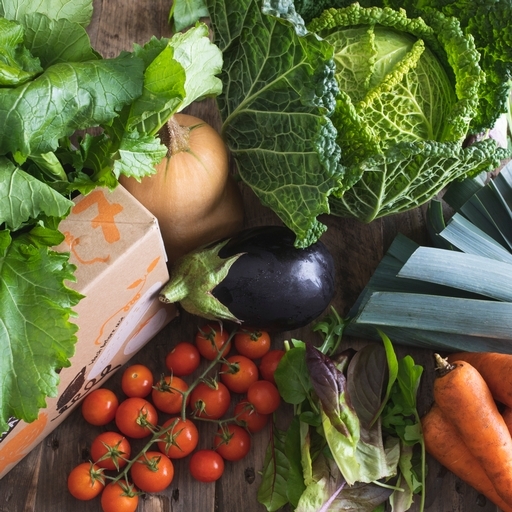 The only thing that isn’t flexible about our veg boxes is being 100% organic, always. 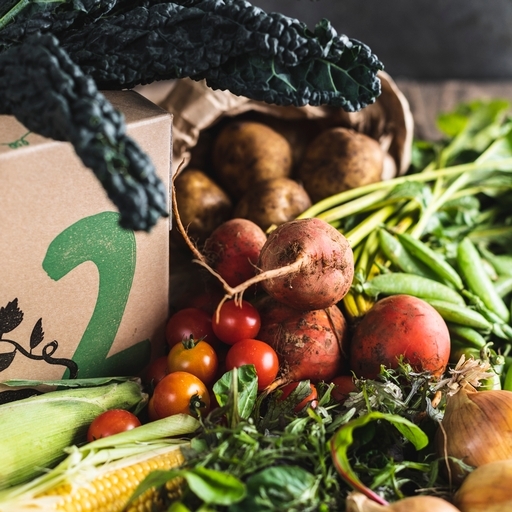 The classic organic veg box, with 7 varieties. You’ll get a mix of seasonal veg and staples (potatoes plus carrots or onions) every week. 7 organic varieties. 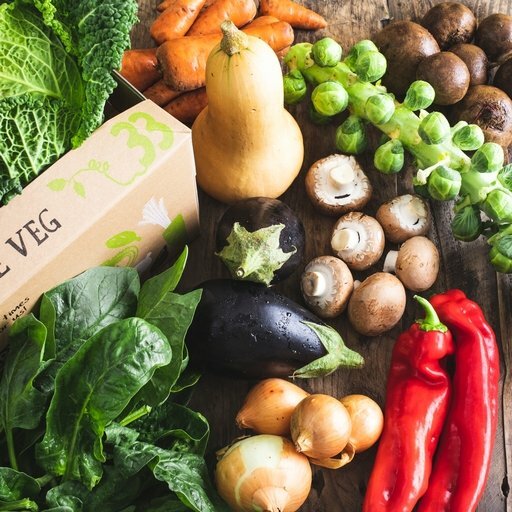 Everything in this veg box can be prepped and cooked in under 30 mins. 7 organic varieties. 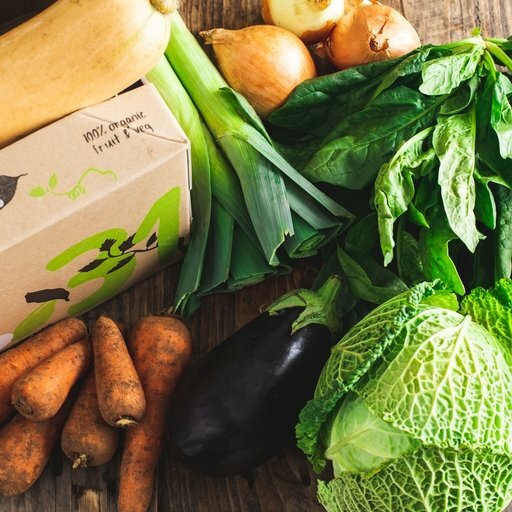 This veg box offers a seasonal mix, including staples of carrots or onions every week – but no potatoes. 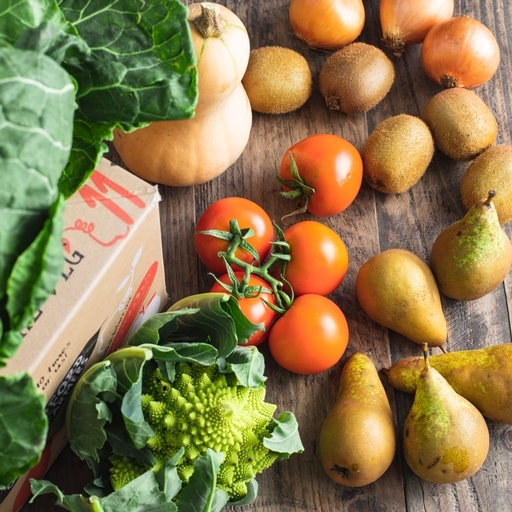 Our classic organic veg box with fruit. You’ll get a seasonal mix of 5 veg, with potatoes plus carrots or onions every week, and 2 types of fruit. 5 veg and 2 fruit varieties. 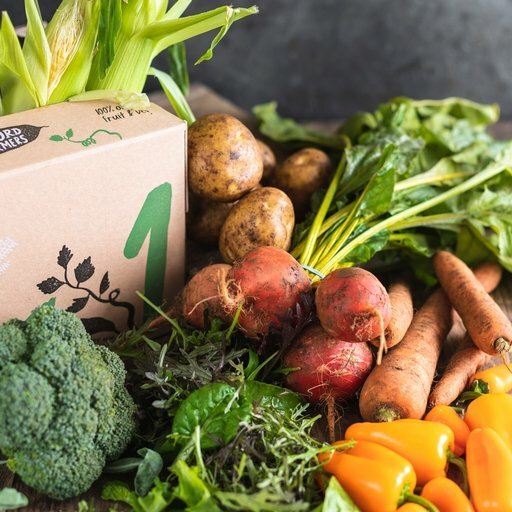 No heavy roots; instead, this organic veg box offers a lighter mix of veg that can all be prepped and cooked in under 30 minutes. 8 organic varieties, with potatoes and carrots or onions every week, plus a seasonal mix of other veg. 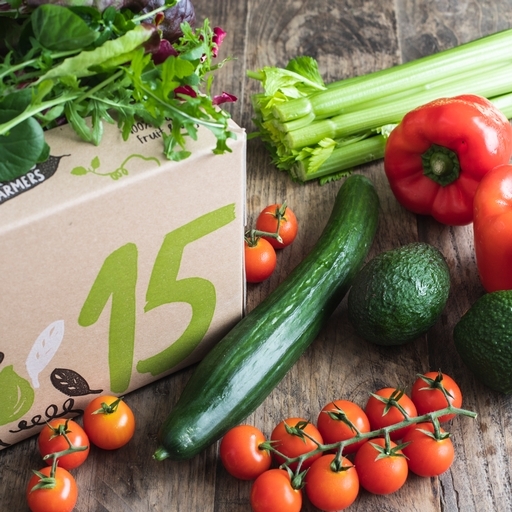 One of our most popular veg boxes. 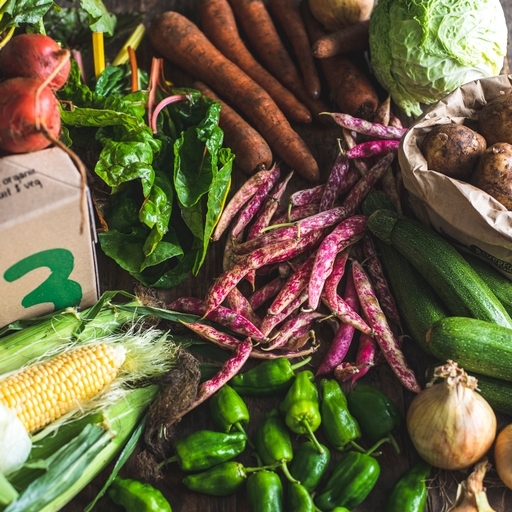 8 varieties of organic veg that can all be prepped and cooked in under 30 mins. 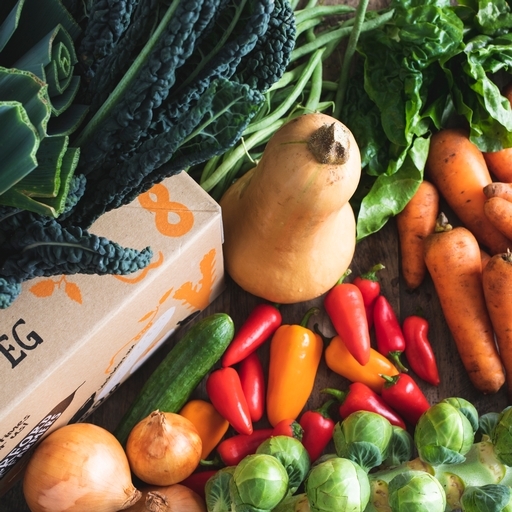 A popular sized veg box. A seasonal mix of 8 organic veg varieties. 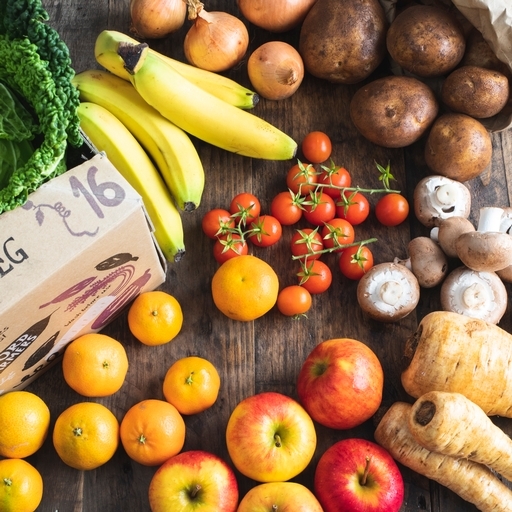 This veg box includes staples of carrots or onions – but no potatoes. 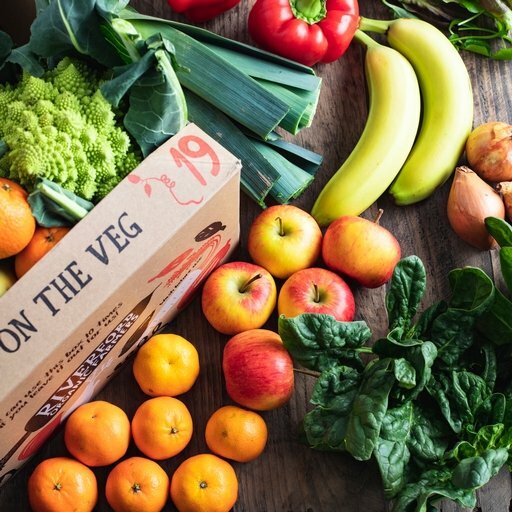 Our classic organic veg box with 6 veg varieties, alongside 3 types of fruit. Includes potatoes every week, plus essentials of carrots or onions. 6 organic veg and 3 fruit varieties. 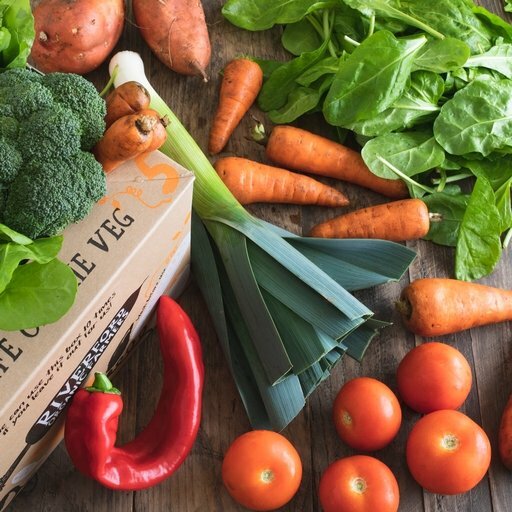 This veg box offers a lighter mix of veg that can all be prepped and cooked in under 30 minutes. 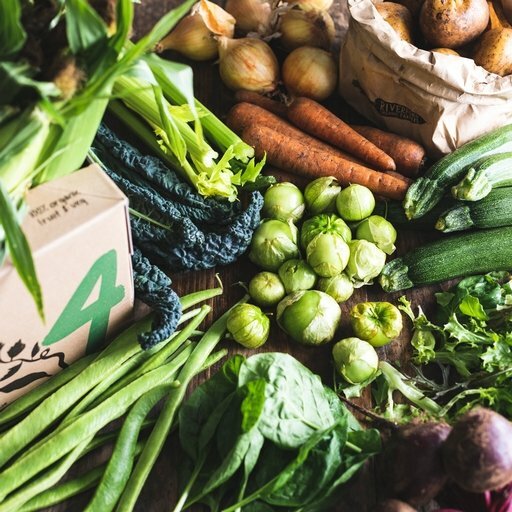 This veg box is packed with a changing selection of 8 homegrown veg. 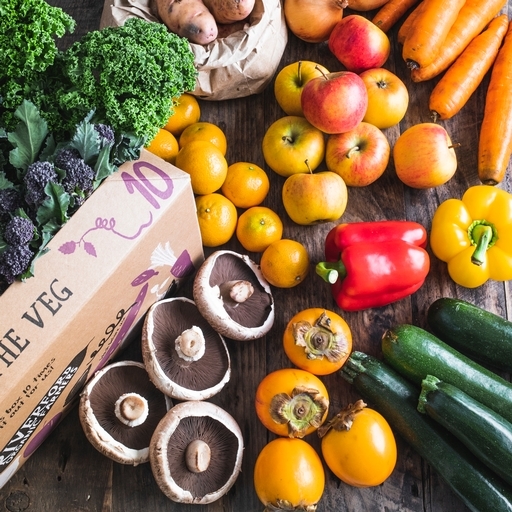 Our classic organic veg box. 10 varieties, with potatoes and carrots or onions every week, plus a seasonal mix of other veg. No heavy roots; instead, a lighter mix of 10 organic veg that can all be prepped and cooked in under 30 mins. 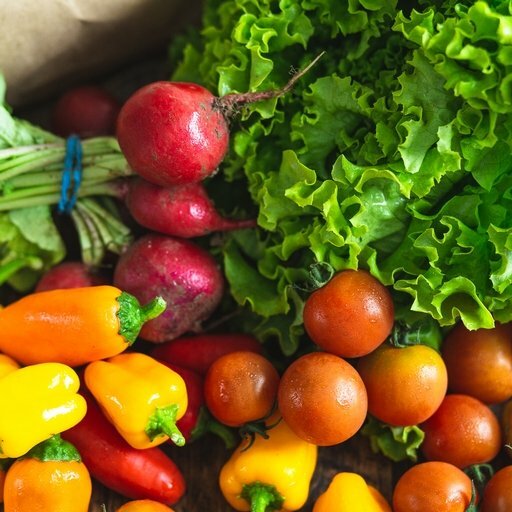 A seasonal mix of 10 organic veg varieties. 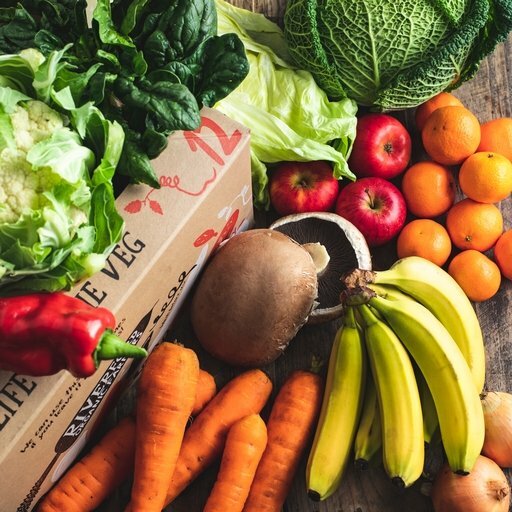 This veg box includes staples of carrots or onions – but never potatoes. 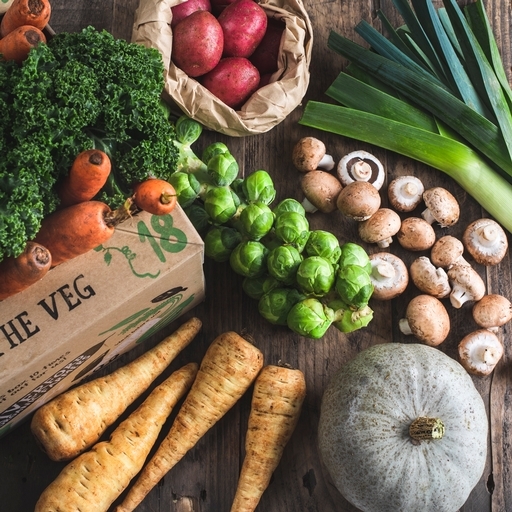 Our classic organic veg box with 8 seasonal veg, alongside 3 fruit varieties. You’ll get potatoes every week, plus carrots or onions. 8 organic veg and 3 fruit varieties. No heavy roots in this veg box; instead, a lighter mix of veg that can all be prepped and cooked in under 30 minutes. 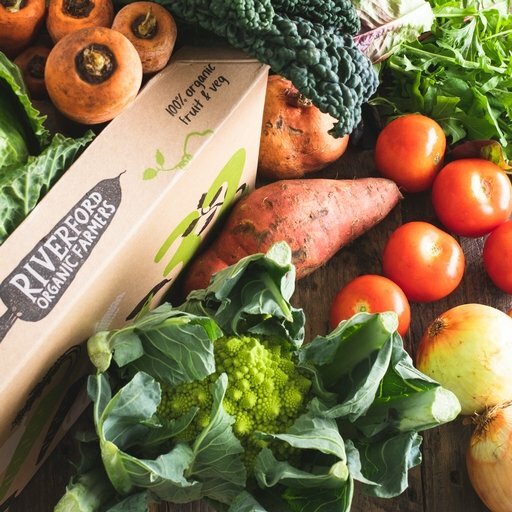 Our classic organic veg box in a bumper size. 12 varieties every week, with potatoes and carrots or onions alongside a mix of seasonal stars. Select your own fruit and veg. 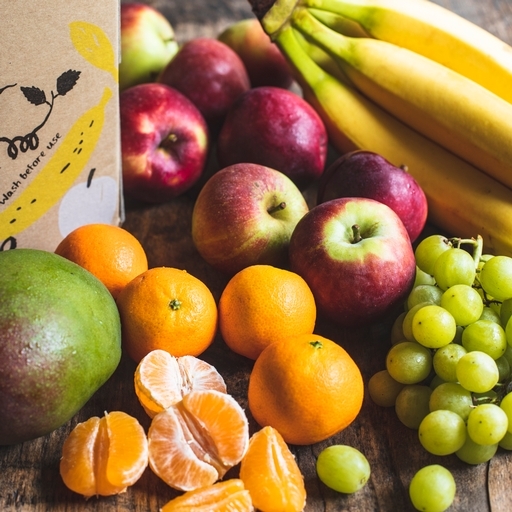 Filled with 5 varieties of fresh organic fruit, our fruit box makes it easy to eat healthily. 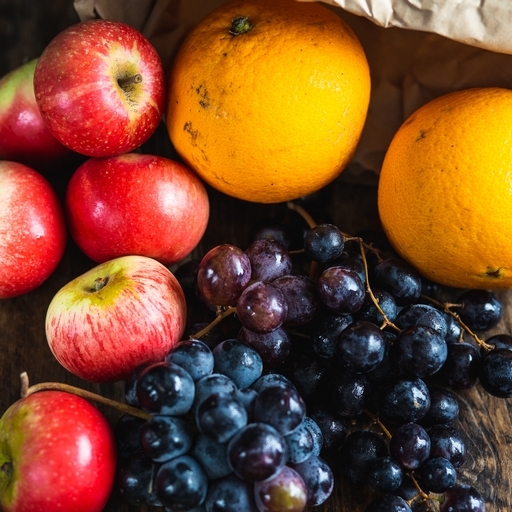 From seasonal apples and berries to zesty oranges and plump grapes, this is food to feel good about. Portions are generous, so your fruit bowl’ll be brimming. 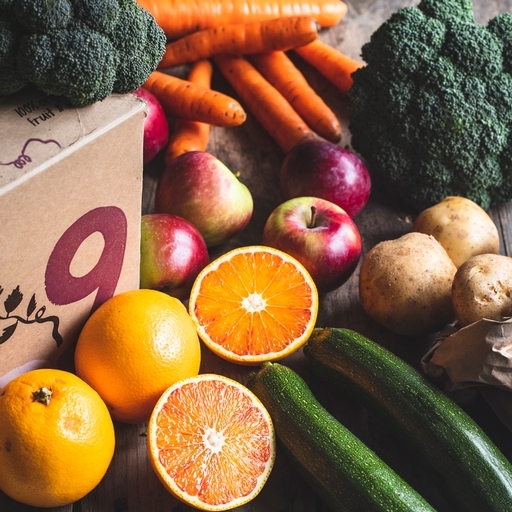 Box contents change weekly to reflect what’s ripe, ready, and at its seasonal best. A bumper organic fruit box for real fruit fiends, filled with 4 varieties in portions to feed a crowd. 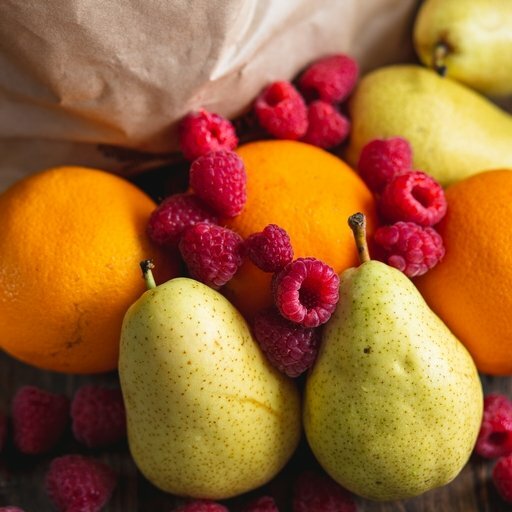 Contents change every week to give you a colourful variety; apples, pears, bananas, berries, oranges, clementines and more. All easy to eat, with minimal prep – nothing you’ll need an axe to get into! 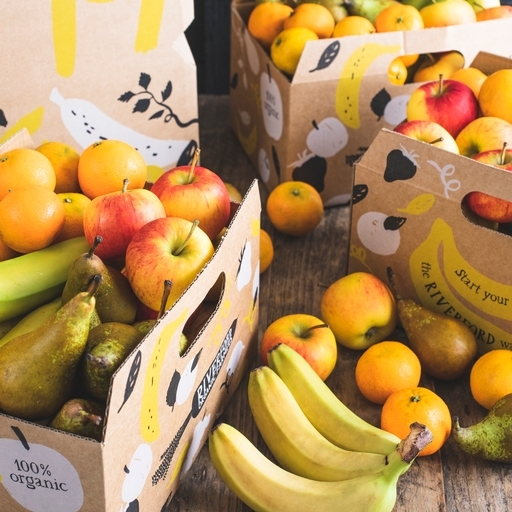 We pack your fruit carefully into 4 cardboard ‘fruit bowls’ for easy sharing. Ideal for making a light meal. You'll get lettuce, salad leaves, tomatoes and cucumber most weeks. Create colourful, healthy salads in minutes with our salad bag, packed with four tasty organic salad veg each week. A recipe and all the organic ingredients (including spices and sometimes crunchy toppings) for a different soup every week. 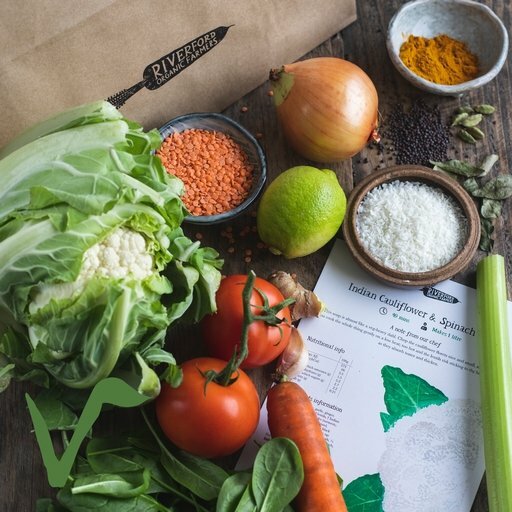 Our soup bag recipe changes weekly. From Mon 22nd April, the recipe is Mexican Red Pepper & Bean soup. 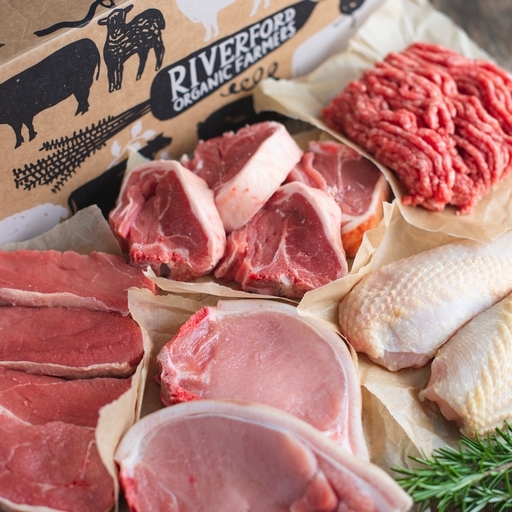 We choose the cuts to suit busy people who don’t want to spend hours in the kitchen. 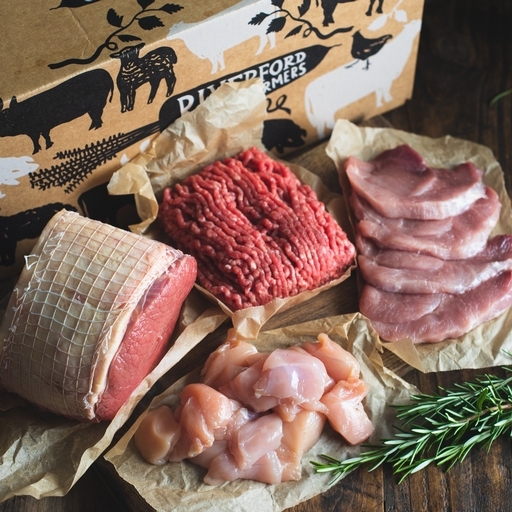 Packed with a mix of four easy-cooking cuts, such as mince, diced meat, prime steaks and chicken breasts including the occasional roasting joint. Packed with three easy-cooking cuts, such as mince, diced meat, prime steaks and chicken breasts, including the occasional roasting joint. 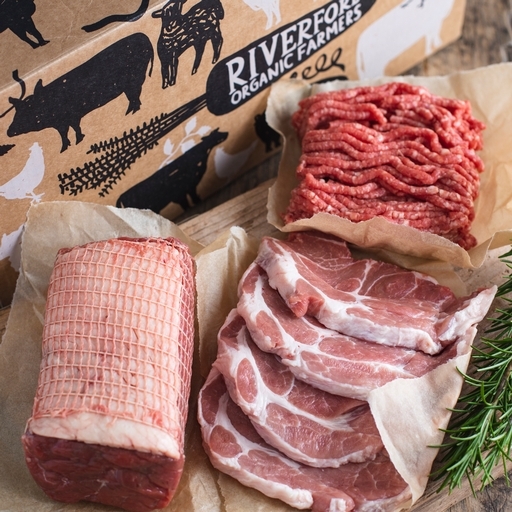 Looking for the meat & veg combo boxes?